Our society has been bombarded with talent shows like ‘Australia’s got talent’, ‘American idol’ or ‘the voice’ and this has made the perception that singing is a talent or an innate ability even stronger. 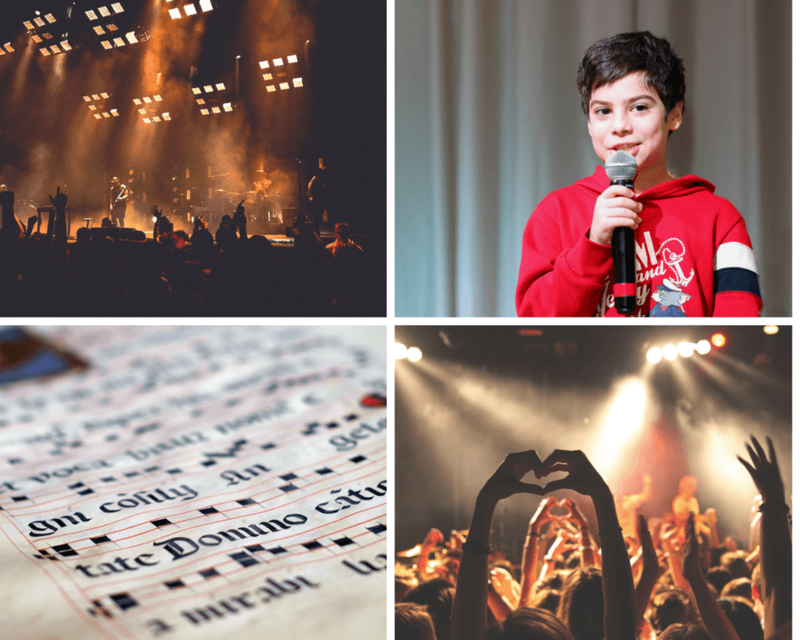 Today, I want to talk about the one question I get asked most often from people enquiring about taking singing lessons, do I need ‘talent’ to learn how to sing? My answer to this is, no, what does talent even mean? Now, this might seem a bit unusual to you or different to what you have heard before. Let me explain. I have heard from many adults that they always wanted to learn to sing but at a younger age they were told by either their parents, peers or even their music teachers that they don’t have any talent and that they better not sing. It makes me so incredibly sad to hear these stories and what makes it even worse is that often it is music teachers saying this. Here is a brief question before I continue. Has anyone ever said to you you better stop walking since you have no talent? Most likely, your answer will be no. Only a small percentage of the population cannot learn how to walk. Everyone, who can walk can learn to run a marathon. It may be difficult and will require training but the anatomy is there and if you have the endurance and ambition you can do it. With any fine motor skill, any beginning is hard. Can you remember how difficult it was a child to learn how to write? At first, it felt uncoordinated and required the whole body to get involved. With the right teaching and practising we all learnt how to write and now we do it without thinking about it. If you are an adult who grew up in a family without singing it will seem a bit difficult in the beginning to sing on pitch. This is a completely different topic and I will talk about this another time but learning to sing on pitch is actually not that difficult as long as it is done correctly. Learning to sing what most people perceive as beautifully is pure technique. The voice is produced in the larynx. We all have a larynx, since it is the valve that protects our airways. Different muscles and cartilages can be engaged which leads to different sounds or voice colours. It is just a matter of learning to engage those. Most people will be surprised to hear that you are all already engaging these in your daily speech – without knowing! Let’s talk about children for now. Most kids already possess musical ability and include it very early in their behaviours, they dance, they speak in different voices and different pitches, they sing. Those kids whose parents sing to them when they are young or are exposed to a lot of music will find it easier to learn to sing well quicker than kids that were not exposed to such a musical environment. That does not mean that they have talent, they just have been practising already! Most adults I have met that say to me you would not be able to teach me how to sing are those that have been told not to sing as kids, have been told they have no talent. They have taken on this negative perception of themselves and made it a self fulfilling prophecy. We know that psychology plays a very important factor in acquiring any skill and cannot be underestimated. So far, I have not failed at teaching anyone how to sing. Engaging in music has so many benefits and anyone can learn to experience the joy and fulfilment you get from singing and connecting with music. Of course, learning to sing requires practise, a good teacher, a positive mind and dedication. We know that practise makes perfect, it is certainly is not talent! If you are one of those adults who have been told they have no talent but want to learn to sing please get in touch. There is nothing more amazing than discovering the beauty of your own voice! As for children, I encourage anyone to engage every child in music and avoid putting kids into categories of talent and non-talent. As a personal side note, I have been brought up in a family that engaged in lots of singing and music. I cannot remember how many times people have told me I’ve got talent. Initially, it annoyed me and I was thinking they don’t appreciate how much work I have put into this. It almost felt like they were saying ‘great singing but it’s easy for you, you were born with this talent’. Well, I was not. Instead of laying on the couch watching TV after school, I practised for hours and hours. Over time, I have learned to take it as a compliment when people say I’ve got talent, because I realise that they just don’t know any better. I know that I was not born with a gift different to anyone else and it is my mission to help everyone who wants to sing discover their beautiful voice. This entry was posted in Singing and tagged contemporarysinging, learntosing, singingtalent, talent.